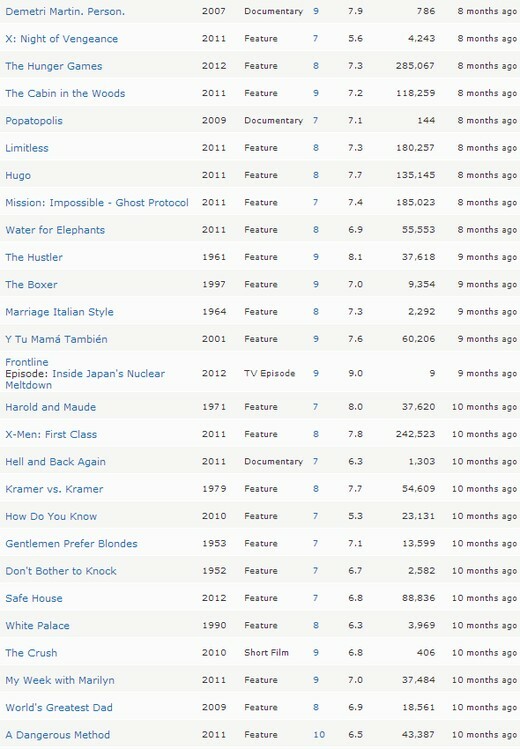 I’ve been using IMDb’s customizable lists and ratings system for at least 10 years. 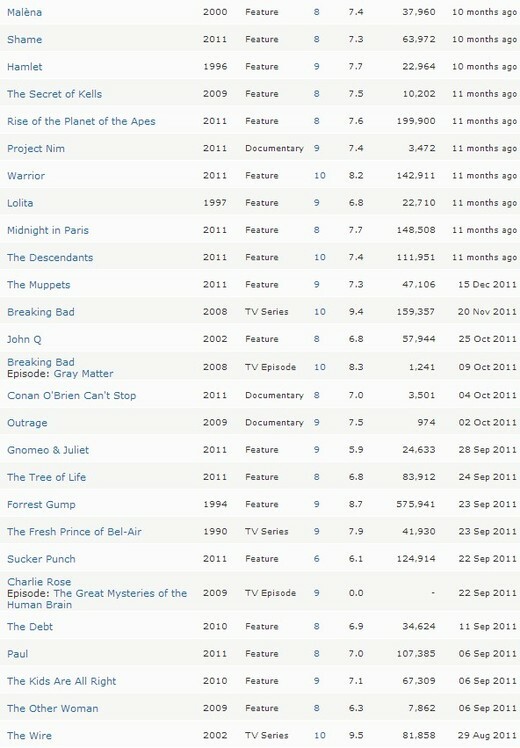 Here is a typed list of films and TV shows that were released in the Louisville area this year that I’ve seen. 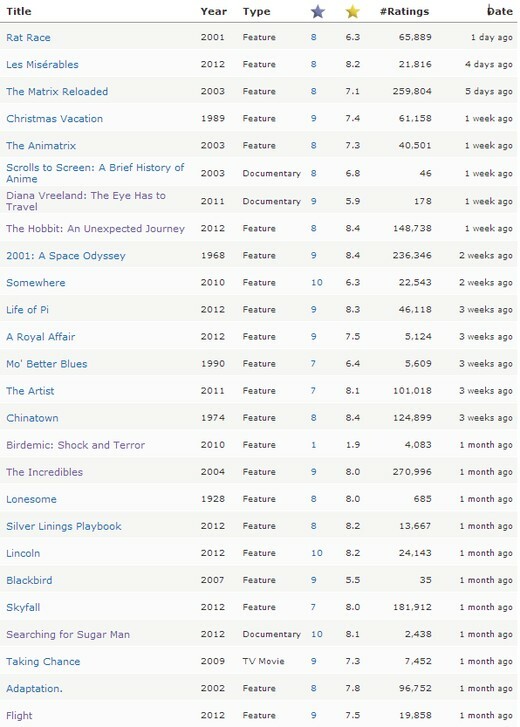 I’m also including screenshots of my complete list of ratings for the year: things I’ve watched and rated regardless of their original release date. 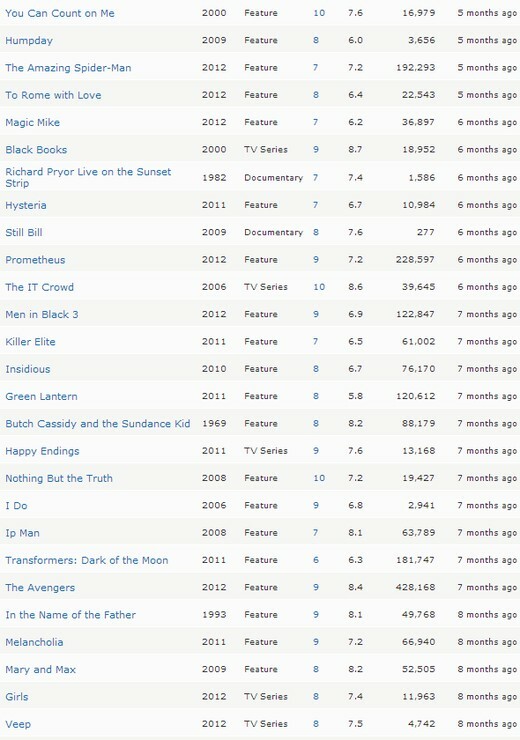 All of these are in (approximate) descending order, most recently watched to least. 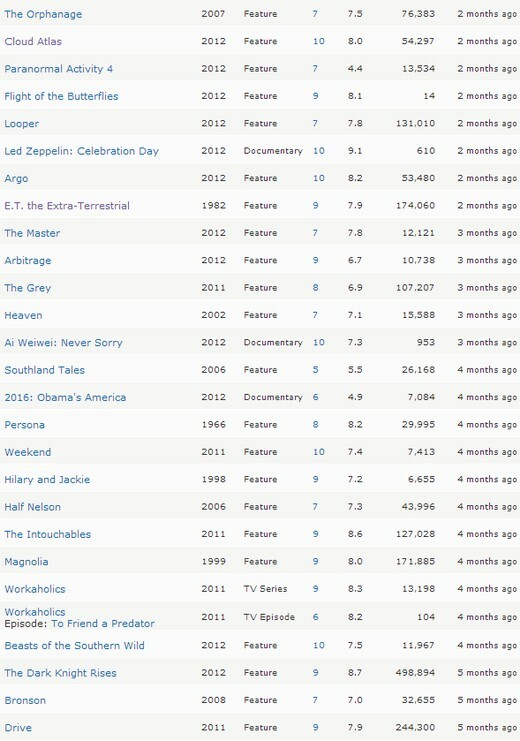 The #Ratings are based on the number of times a title was rated, current as of January 2, 2013. What are your favorites from the cinematic arts that you’ve seen this year?